When the sun’s path crosses the equator, the length of the nights at –L and +L latitude are of equal length. This is known as an equinox. At the moment of the spring equinox, the sun crosses the celestial equator, which is an imaginary line in the sky above the Earth’s equator and typically happens on March 19th, 20th or 21st every year. This year it lands on the 20th. The Solar Equinox calls for the GMT-Master! The Equinox is often regarded as a mystical and magical time as it relates to changes in balance, transformation, and a symbolic harvest. Many believe the equinox is the perfect time to embrace something new—whether it’s a new job, travel exploration, or a move to a different city, mid-March is believed to a be a fortuitous time for growth and change. We suggest the perfect watch for this change in pace is the Pepsi GMT-Master. There’s no better way to celebrate this seasonal shift than with a timekeeping device that is perfectly suited for both evening and daytime. With a red and blue bezel representing both day and night, the GMT-Master is the perfect watch for travelers, city dwellers, and sports enthusiasts. Not only is the rotatable GMT good for a good change in pace for a new watch, if you decide to travel, it is the perfect partner as it is able to keep track of multiple time zones. Whether you want a fresh Pepsi or a vintage that has faded with time, the Pepsi is perfect for the Solar Equinox. Originally designed as an aviator timepiece, this statement watch helped pilots who needed to track time while traveling through multiple time zones. 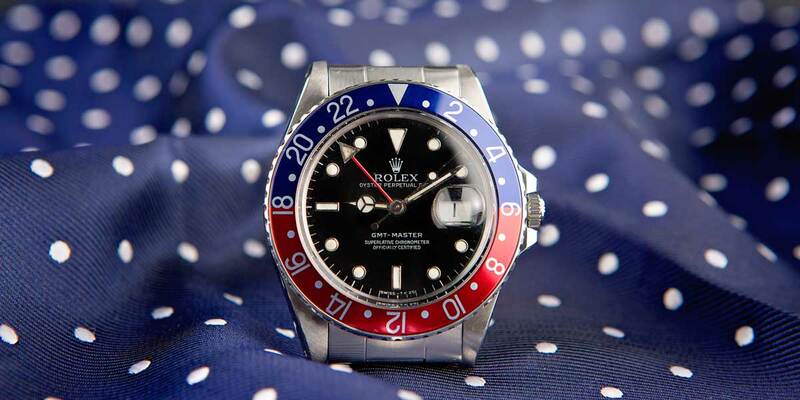 Rolex created the GMT-Master with a fourth hand and corresponding hour markers on the rotatable bezel to aid pilots in their aeronautical expeditions. In fact, GMT stands for Greenwich Mean Time, the zone that pilots typically used the second hour hand to display. The GMT Master is a watch favored for its sharp and steely style and beloved by celebrities like Kevin Hart, Daniel Craig and Eric Clapton. Not only is this sports watch worn by many icons in the entertainment industry, it also has many variations, typically with a nickname. 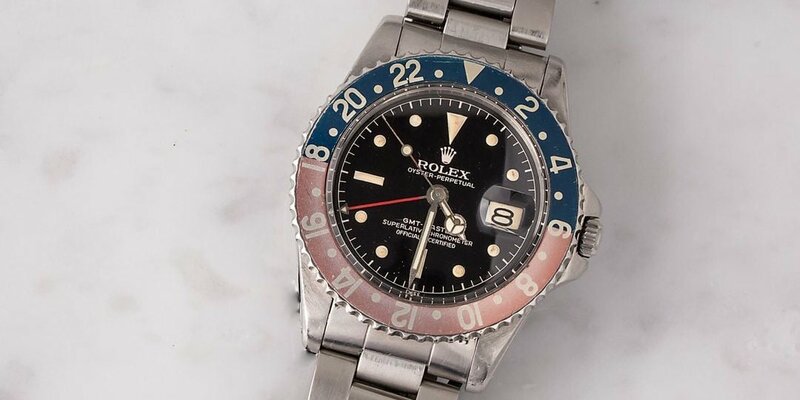 Take, for example, the GMT-Master 116710BLNR a ceramic black and blue bezel which earned the nickname “Batman” for its similar color scheme. Versatile and dynamic, this watch elevates any menswear fashion moment and adds sleek sophistication to any street style. Pair this gem with a shadow check suit with an unbuttoned crisp linen shirt or go casual with a t-shirt and dark jeans. This watch is a must-have for adding a bit of luxe to the weekday warrior ensemble. This watch works for any seasonal shift, time zone change, or adventure abroad. Jetsetters take note.